FOREF expresses its concern about policies of the Austrian federal state that violate Human Dimension commitments undertaken by the participating States in the Helsinki Final Act and in the Madrid, Vienna, Copenhagen, and Maastricht documents, as well as Article 18 of the ICCPR, particularly as regards equal treatment of religious communities and neutrality. Austria has embraced policies and practices that demonize “sects” and “cults,” while cooperating with the established churches, and finances private anti-cult organizations, which spread biased and distorted information stigmatizing new religious movements and their members. Most recently the government has promoted legislation imposing grossly unequal treatment on the Austrian Muslim community. The executive director of the “Federal Agency for Sect Issues” (Bundesstelle für Sektenfragen, BSS), Dr. German Müller, is a former co-worker of the association GSK (Gesellschaft gegen Sekten und Kultgefahren), the Austrian branch of FECRIS. His longstanding mentor, Friedrich Griess (a technical engineer by profession), is the co-founder of FECRIS, an anti-cult lobby that is supported by militant atheists and traditionalist Roman Catholic campaigners. The following aspects and activities of the BSS do not comply with the ICCPR or the Austrian constitution: a) Special religious groups within the mainstream churches are excluded from observation by this agency; b) The law is not applied to state-recognized churches and is therefore discriminatory; c) The BSS organizes and sponsors regular conferences with Protestant and Catholic sect offices. Most high-school students are obliged to attend lessons on cults (Sektenaufklärung), which in reality present a biased message on several religious minorities in religious, political, and social classes. The information contained in the teaching material provided by the Landesbildstelle (a pool of teaching materials for schools, including 43 anti-sect videos) is largely outdated and especially discriminatory against children, whose parents are members of targeted religious minorities are suffering under these circumstances. So far, the Ministry of Education has done little to prevent the use of stigmatizing anti-sect teaching materials, that is often developed by apologists of the Catholic or Protestant Churches. 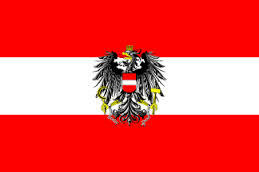 The Austrian government proposed a revision of the law on Islam on 02 October 2014 (Islamgesetz 1912, Änderung), which received in total around 160 mostly critical responses during the revision phase. Ever since the release of the first draft in October 2014, representatives of Muslim and non-Muslim religious communities as well as external judicial experts have raised their concern that regardless of severe objections the new law on Islam would be pushed through parliament without adequate consideration of its implications for human rights. The UN Human Rights Committee (113th session, 7–31 October 2014) has also raised concerns about the compliance of the revised law on Islam with international freedom of religion standards and the principle of non-discrimination. The National Assembly issued the revised law on Islam on 30 March 2015, including only minor changes compared to the original draft. Austria’s constitutionally granted neutrality of the state in religious matters is nullified by these facts. Members of religious minorities report numerous cases of religious discrimination in schools, communities and in their workplace. Remove the pejorative cult term in the title of the BSS and all state sponsored observation offices or information centers. Revise the unconstitutional federal law to install a documentation and information center for cult issues (Bundesgesetz über die Einrichtung einer Dokumentations- und Informationsstelle für Sektenfragen (EDISG) 1998). Introduce transparency and publicity as guiding principles of state documentation on religious minorities and inhibit state collaboration with established churches in emanating information on non-established religious minorities. Inhibit state collaboration with and monitor FECRIS-affiliated private information centers (e. g. GSK). Enable a due legal process for religious groups to present their standpoint, in the case that they are named in state reports. Introduce a reformed legislation on religion that fully respects the principle of equality, the autonomy of religious communities and the free practice of religion (cf. Art. 9 ECHR). FECRIS is the French acronym for Fédération Européenne des Centres de Recherche et d’Information sur le Sectarisme, cf. http://www.fair-news.org/archive.php?id=42 (2014-12-23). The organization receives more than 90% of financial subsidies from the French government. Cf. FECRIS Financing, p. 256, http://www.hrwf.net/images/reports/2012/2012fecrisbook.pdf. Leading representatives of FECRIS have received court sentences, e.g. Mr.Friedrich Griess (President of FECRIS, 2005-2009) or Ms. Heide-Marie Cammans (Co-founder of FECRIS). Cf. ibd., p. 188-193. The overall assessment of Prof. Brünner on the law on facilitating an office for documentation and information concerning sects/cults (BSS) may be viewed here: http://www.hrwf.net/images/reports/ 2012/2012fecrisbook.pdf, p. 307 f. FOREF was informed by of the Vienna Office for Protecting the Constitution and Fighting Terrorism (LVT) that there have been hardly any criminal cases within the 600 religious minority groups throughout the past 15 years. These statements have been listed on the website of the Austrian parliament: http://www.parlament.gv.at/PAKT/VHG/XXV/ME/ME_00069/index.shtml (2014-12-23). Cf. the common statement signed by constitutional experts Bernd-Christian Funk, Heinz Mayer und Theo Öhlinger, specialist in religious law Richard Potz, theologians Ernst Fürlinger und Martin Jäggle and specialist for migration Gudrun Biffl, amongst others. A comparable recent case has been the amendment of the law on confessional communities in July 2011. This entry was posted in Austria, Countries, FECRIS, FoRB Violations, Human Rights, Legislation, Limitations of Religious Freedom, OSCE and tagged Austria, Bundesstelle für Sektenfragen, ECHR, Freedom of Religion or Belief, OSCE. Bookmark the permalink.